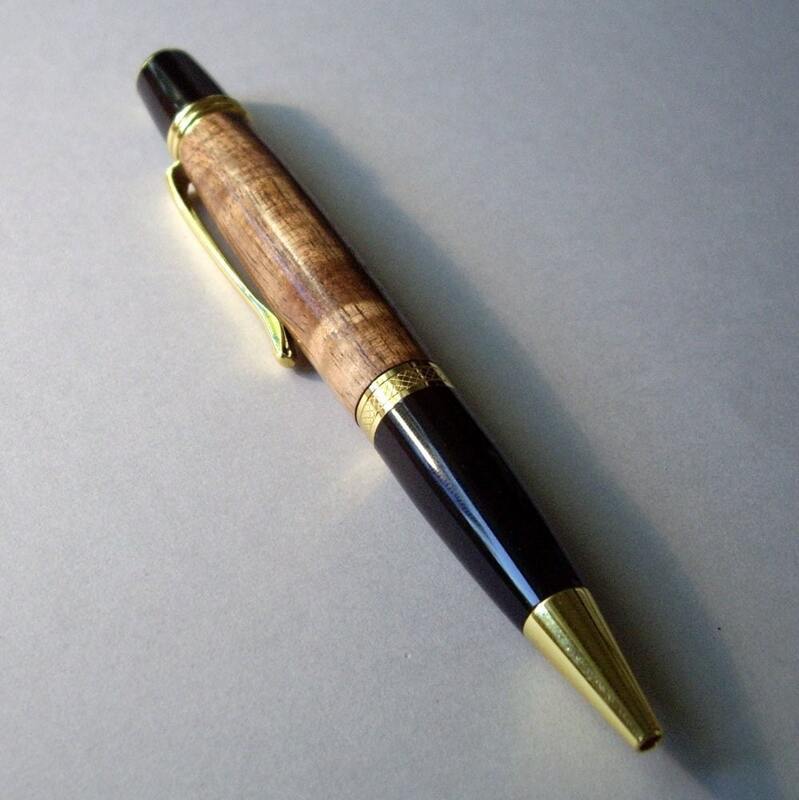 You might just start a letter writing campaign when you feel this Koa wood Sierra style pen in your hand. The pen has great balance in your hand and th Parker style refill gives a wonderful feel on the paper. This pen is handcrafted from a piece of Hawaiian Curly Koa Wood for that exotic look with a pen kit with gold and black accents. The pen is very easy to open with a simple twist of the nib.